The Reach Interview Series is an informal dialogue between Andy Molinsky and respected thought leaders about the challenges of stepping outside your comfort zone, especially in the process of developing yourself as a leader. David Burkus is a best-selling author, an award-winning podcaster, and associate professor of leadership and innovation at Oral Roberts University. His latest book, Under New Management, challenges the traditional and widely accepted principles of business management and proves that they are outdated, outmoded, or simply don’t work — and reveals what does. In our interview, David talks about situations he’s faced outside his comfort zone during his professional career, how he has navigated them, and what advice he has for young people interested in leadership. Paul Liberman is co-founder and COO of DraftKings, a leading provider of daily fantasy sports. You’d like to contribute to discussions at your company, but can never get a word in edgewise. There’s nothing small about the role that small talk plays in American professional culture. The Reach Interview Series is an informal dialogue between me and respected thought leaders around the theme of my new book, Reach: A New Strategy to Help You Step Outside Your Comfort Zone, Rise to the Challenge and Build Confidence. Each week’s issue will focus on a different situation outside many of our comfort zones. 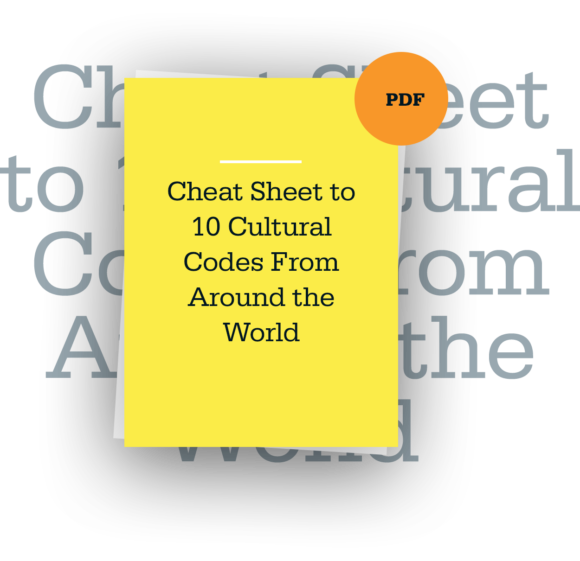 Download your free guide to 10 cultural codes from around the world.